Berlin is often cited as one of Europe’s cleanest cities: but that doesn’t mean that there is not plenty of work that needs to be done in order to make the German capital more climate friendly. 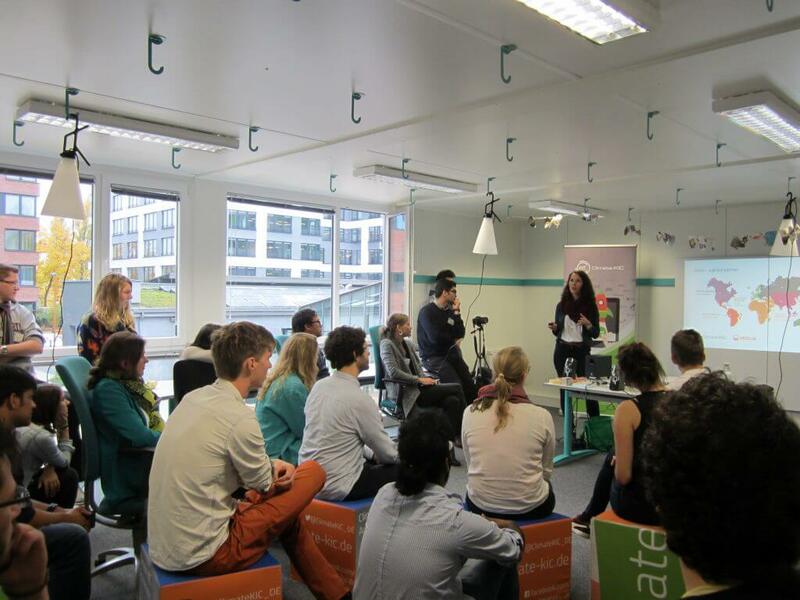 In Berlin, the Climathon challenges focused on waste and transportation, both of which are common global issues that largely contribute to pollution. In Berlin, there are six different fractions of waste at household level- recovered paper, glass waste, recyclable fraction (plastics, metals and composite packaging etc.) biowaste and residual waste. While the quality of recycling is good, the way that it is collected is far from being sustainable; with six different kinds of waste, there are six different kinds of bins and six different vehicles that are required to pick up one one. On top of this, these vehicles will barely be on the street at the same time, as tours and working hours differ, and certain types of waste (such as paper and glass) are recycled privately, meaning that there are numerous waste companies circulating around Berlin at any one time. Together with our four main delivery partners, BSR (Berlin utilities), Veolia Germany, CHORA City & Energy and ZTG of the Technical University of Berlin, and Berlin Partner, the event kicked-off at 10:00 on the 28 October 2016 with an official introduction to the challenge areas. Throughout the event, three coaches were present and facilitated the teams in terms of skills training and team formation. 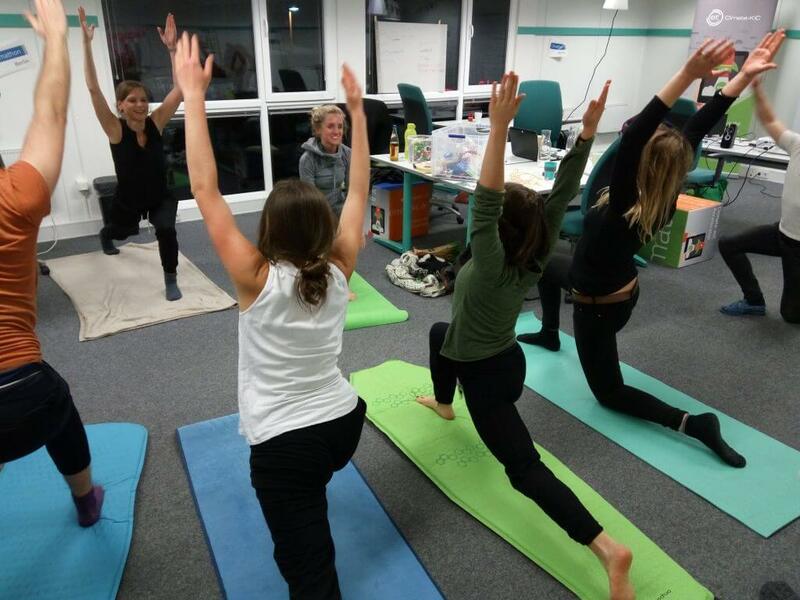 They also made sure that the energy level remained high by integrating frequent energisers and out-of-the-building activities like a campus tour or a gymnastics/yoga session. In addition to this, more experts joined for various time-slots until after midnight in order to provide further thematic expertise and be available for content questions. After lunch on the first day, seven teams were formed and ready to start developing their own idea. At midnight it was time for the first (peer-to-peer) pitch in front of the other teams, the coaches, experts and the local Climathon team. Luckily, all participants stayed during the night and worked hard in their rooms apart from having short and well deserved power naps. After breakfast and some fresh cups of coffee or chai tea, it was time to rehearse the pitches and getting ready for the final presentations. 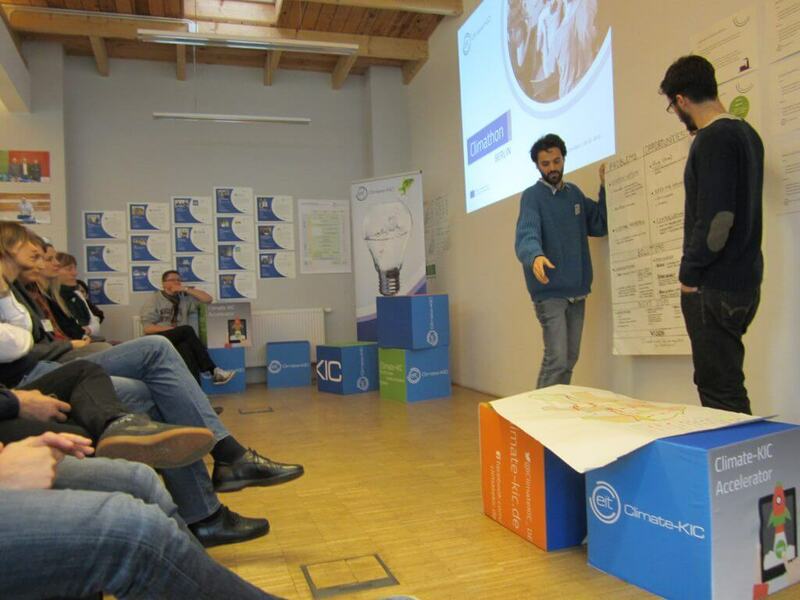 Seven experts from the challenge area and from local Climate-KIC staff were present to give their individual feedback. While there was no official winner announced at the end of the 24hours, BSR have invited teams back to make further pitches in front of internal company experts at the end of this month, so that ideas can be fully implemented in the future. One of the ways to secure a better future for the planet is to educate the young on how to be more sustainable. Team SBA have proposed creating an engagement programme for secondary school children. Within this programme, there will be a mentoring programme included that will implement the circular economy system at school. This will hopefully lead to a ‘zero-waste school’, which will in turn encourage more children to be less wasteful and more environmentally friendly for life. Perhaps the transport and logistics of waste collection would be improved if the bins had a ‘heber’ or lifting system built within them? And maybe an underground bin system could be implemented within each quarter; not only could this reduce traffic, but it would also serve a community function with someone who would consult and support local residents in being more sustainable. No matter how full or empty your trash can is, the collection for it will come regardless. This means that even though your trash can may have plenty of room in it to last for another week, the waste disposal team will continue to release more emissions into the environment and waste time collecting it. However, according to The Expendables, what would fix this issue would be if bins used a sensor technique to determine how full or empty they are, which would allow waste management companies to arrange pick up times for them to save time and improve logistics, as well as reducing the amount of emissions that they release. A bit like The Expendables, Perfect Trash has identified that one of the issues with waste collection is that bins are being collected regardless of how full they are. Perfect Trash also recognised that other issues with waste collection is that bins are very noisy and the routes can take a very long time to complete due to surrounding traffic and obstacles. The team propose that bins should be redesigned to make them quieter, and they should come with an ‘on demand’ pick up system so that half empty bins can be avoided. Further to this, the team feel as though trees should act as barriers for more traffic; this will increase the speed of waste pick up as it will allow services to avoid parked cars and bins will have a clear space to be collected from. Trying to get people out of private cars and onto bikes can be tricky, especially when they are stuck in their old habits. Move A BIT plan on making a bike hub and cycling app for the 50+ generation as a social innovation project to foster use of bikes in the city. Team MOaskateer think that one way of encouraging more people to use bikes would be to create an interactive platform community that will hold regular competitions and learning workshops to promote the benefits of cycling. The platform would also have a reward system to support local retailers. Sometimes, riding your bike to work can take a long time, which will inevitably put people off of doing it. But, Kommuting Koalas propose a more streamlined journey when you book your bike to work as an extension of the current NextBike app, this would be a seamless integration of public transport and bike sharing.